An international poll of roughly 2,400 scientists found that 85% felt their laboratories were safe. Despite this, just under half of them had experienced injuries and 165 of them had suffered from chemical inhalation. There are systems in place to keep this from happening, so chemical inhalation incidents should never be a problem in our laboratories. But the figures show otherwise. The final point is straightforward to solve – you need to ensure you have an effective fume cupboard. Since this is a significant investment, it is good for you to know all your options. So, here is our advice on how to choose the right one for your laboratory. The two main types of fume cupboard are ductless and ducted. Ductless hoods have a filter pack found in the fume hood which takes dirty air and cleans it before releasing back into the laboratory. Unlike ducted hoods, there is no ductwork to exhaust air to the exterior – hence their name. Choosing which is best for you depends on a variety of factors. What chemicals will be used in the hood? There aren’t any ductless filters that can capture every known chemical. Therefore, before you choose your fume cupboard, you need to build up a list of chemicals you might be working with, and their quantities. The manufacturers of ductless fume cupboards will review your list and supply you with a suitable cupboard. If you plan to use radioisotopes or perchloric acid, a specialised ducted hood is necessary to vent these substances safely. Gathering this information may be time-consuming, and makes you wonder what benefits there are to ductless fume cupboards. The upfront cost of purchasing a ductless hood can be three to four times more expensive than a ducted one. However, once you factor in the costs of the required infrastructure, like ductwork, mechanical systems, exhaust fans, and roof elements, the overall cost of a ducted hood might greatly outweigh those of ductless. Although prices vary across suppliers, this trend usually stays the same. If you are adding a ducted fume cupboard to an existing system in your laboratory, there could be a substantial cost impact if you need a bigger mechanical system to support the extra load. This is something you would not be subject to with a ductless cupboard. However, filters on ductless hoods all need replacing at some point; it is just a matter of when. Each filter holds large stores of used chemicals, but new ones can cost up to £7,000 each, with one cupboard sometimes requiring six filters. So, when choosing what fume cupboard you need, it is worthwhile assessing your laboratory’s individual circumstances to see what makes sense as the most cost-effective choice. With an ever-increasing need to be environmentally responsible, there are other considerations to be explored when it comes to your fume cupboard. Ductless fume cabinets de-activate vapours and particles through carbon technology in the filter. There is HEPA filtration, so there is no risk of contamination to the user. 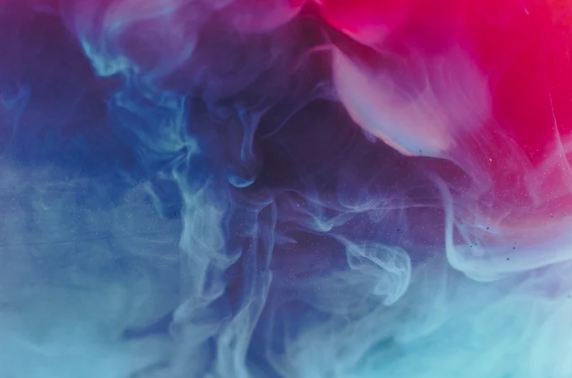 This means harmful vapours and particles are not spread into the laboratory or external atmosphere, making them more environmentally friendly than ducted hoods. Ductless hoods are a more sustainable option and equally as effective as ducted hoods. These are just a few factors to consider when choosing the fume cupboard that is best for you. The decision rests on your laboratory’s specific situation, your budget, and the environmental impact. But, one last thing to consider is whether there is a company near you that can install the fume cupboard safely, according to regulations, on time. Higgins is a fast, safe, and efficient company that can help you install essential equipment into your laboratory. With years of experience in installing fume cupboards in laboratories across the UK, we are trusted to ensure your lab is up and running as soon as possible. Get in touch with us today on 01625 613 308. We have two apprenticeship places available for enthusiastic people who are looking to learn new skills in the Plumbing and Gas Industry. Whether it be your first job or a change in career. We at Higgins will support you every step of the way. From selecting the right course to teaming you up with our existing engineers who will be able to pass on over 150 years of combined knowledge and experience.